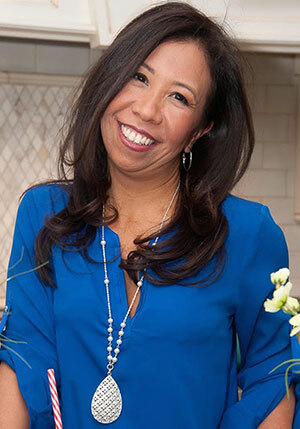 Christine M. Okezie, HHC, AADP, is a graduate of NYC’s Natural Gourmet Institute for Health and Culinary Arts, and the Institute for Integrative Nutrition. She founded her company, Your Delicious Balance, to fulfill her desire to support individuals who want to heal themselves through real food and positive lifestyle choices. Whether it’s dealing with issues of obesity related disease, chronic fatigue, digestive disorders, or autoimmune diseases, her healing strategies are based on whole foods nutrition. Christine gently guides individuals to adopt a plant-centered way of eating that offers anti-inflammatory and detoxifying benefits to the body. By eating nutrient dense foods, her clients experience improvements in energy, healthy weight loss, digestion, and food cravings. She works with clients on a program basis developing individualized treatment plans to meet their health goals. Christine’s clients learn to apply simple dietary recommendations with easy delicious recipes, cooking skills and meal planning. As a Health Coach, Christine is trained not only in dietary theory but brings valuable life coaching skills to offer the emotional support and guidance needed to facilitate permanent positive lifestyle change. In short, Christine provides her clients with the necessary tools to develop a personalized wellness plan.